Interview with Rabbi Yaakov Klein, Executive Director of the International Jewish Community of Moscow. - Tell us a little about yourself. Where were you born, where did you grow up, why did you decide to become a rabbi, etc.? - I was born in Brooklyn NY, and grew up there in a religious family. I am the youngest of 10 and all of my siblings are living around the world leading Jewish communities. As a child growing up in Brooklyn I was part of the Chabad Lubavitch community, led by Rabbi Menachem Schneersohn. Motivated by his profound love for every Jew and spurred by his boundless optimism and self-sacrifice, the Rabbi set into motion a dazzling array of programs, services and institutions to serve every Jew. Today 4,000 full-time emissary families apply 250 year-old principles and philosophy to direct more than 3,300 institutions dedicated to the welfare of the Jewish people worldwide. This was my inspiration. - How did you end up in Moscow? - I was lucky to marry my wife in 2007 and shortly after that her brother, Rabbi Lazar (the chief Rabbi of Russia), offered us to move here and become part of the Moscow Jewish community. Actually, my mother was born here in Moscow and my grandparents were married here in the Jewish community many years ago, when times were not so great for the Jewish community here. When we told my parents that we were thinking to move to Moscow, my mother was not really excited, but since then she has come to visit and has seen the growth and success of the Jewish community, and now Moscow is her favorite place to come visit! - Jews in Russia have had a turbulent history to say the least. How would you assess the changes in Jewish life in Moscow that you have witnessed during your time here? - I am confident to say that, at the moment, it's probably one of the best times for Jewish people here in Moscow. 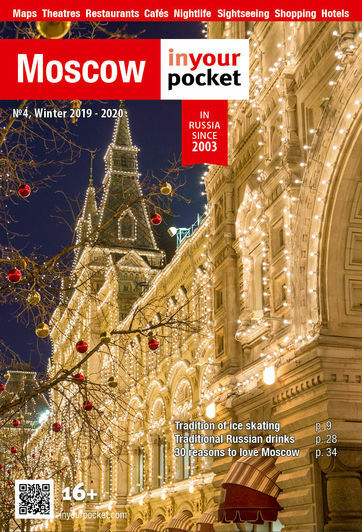 There is real Jewish life, community life, Jewish social life, Kosher restaurants and supermarkets, programs and events for all ages, something that has only recently over the last 15 years become possible and a reality here in Moscow. Today it's easy to be a Jew in Moscow! - What's Moscow's Jewish community like and how big would you say it is? - We believe that there are close to a half million Jews in Moscow. I have been around the world to many other Jewish communities and I am proud to say that Moscow is on-top of my list. There's a great and vibrant Jewish "community" in ALL senses of the word! - In your opinion, which places are a must visit for anyone who's interested in Moscow's Jewish history? - The Jewish Museum and Tolerance Center is a must-see if you're visiting or living in Moscow! - What's your favorite thing to do/place to go in Moscow on Shabbat and the High Holidays? - The International Jewish community! We are located in the center of the city and we have very warm and beautiful people, the atmosphere is something that can't be described, you have to come feel it for yourself! - What's the best kosher food you've had in Moscow? - Well to be honest, it is my wife's home cooking! There are quite a few great places that you can eat great kosher food in a beautiful setting. For example, at AfiMall city, Jerusalem restaurant on B. Bronnaya Street and at the Jewish Museum.